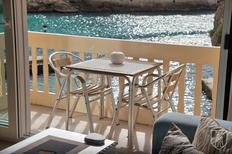 You can enjoy this view from your own terrace in the harbour of Valletta, the island’s capital. 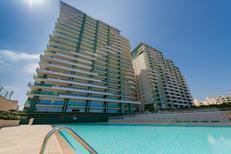 Holiday complex consisting of stone houses with beautiful apartments. This holiday complex seems like an oasis in the desert. It is located near the beach, not far from Monastir. ​Tunisia | Beautiful beaches, the best climate and countless sights – the little country in North Africa offers the very best conditions for a wonderful holiday. 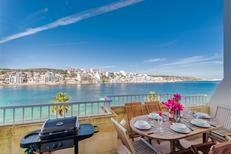 A holiday house in Malta costs on average USD 581 in the cheap travel period and USD 1,610 in the peak season per week. These details are of course in relation to the house and not per person as well as includes the obligatory additional charges. Located in the sparkling waters of the Mediterranean, just south of Turkey, Cyprus is a holiday destination that sees visitors return year after year. Perfectly located holiday homes in Cyprus promise charming towns with colourful flowers and friendly locals, delicious food and refreshing drinks, azure blue waters perfect for swimming, and mountains for hiking and skiing. From peaceful to full-on partying, Cyprus is the ideal place for sunseekers and nature lovers, foodies and party-goers. Most people agree – a holiday here won't be the last. A divided country with a turbulent past, Cyprus offers its visitors intriguing cultural heritage, perfect temperatures, on land as well as in the clear water, and a rich and varied gastronomical scene. Spend a day hiking or skiing in the rugged beauty of the Troodos Mountains, or take a stroll through any number of picturesque villages with ancient churches and engage in conversation with the locals going about their day to day lives. Visit the Paphos Archaeological Site or the Tomb of the Kings and be enthralled as you wander around well-preserved ruins and mosaics from classical times. The south coast of Cyprus promises blue waters and sandy beaches, so whether it's parasols and partying at Ayia Napa or peace and solitude at Lara Beach – sunseekers have it all. Partake in any of the annual festivals, such as the opera festival in Paphos, with an amphitheatre next to the sea or the Flood Festival, held in many coastal towns, and while away the evening dancing. 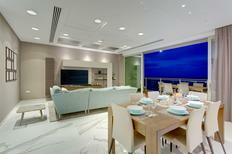 Why book a holiday home in Cyprus? 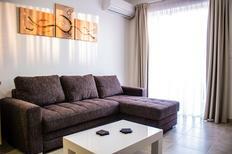 A truly independent way to enjoy your holidays is to rent a holiday home in Cyprus. Choose from quality houses and apartments which are suitable for large or small parties, so whether it's a family getaway, a romantic break or holidaying with friends there's a home just waiting for your arrival. Imagine your own private swimming pool and garden to relax in and a kitchen to create delicious Cypriot dishes. 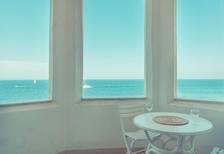 Make special memories with your loved ones, rent a holiday home by the sea and imagination will become your reality. Days out exploring what Cyprus has to offer and evenings back at your own private place is beyond doubt an authentic way to holiday on the island. There are waterparks for kids to get their thrills on the water slides or the zoo, full of exotic animals, is great entertainment for both young ones and adults. Animal lovers can go horse riding on sandy beaches or along cliff-tops with spectacular views. For couples, take a cruise around the crystal blue waters or relax on a more tranquil beach in each other's company. Amathus Bay has a romantic setting to share a cocktail or two followed by a scrumptious dinner and a sunset walk to end a perfect day together. With a number of pet-friendly beaches, bars and restaurants, dog owners don't have to miss out. The National Forest Park of Athalassa is also a great place with sections especially for canines to be leash-free. A typical Cypriot meal includes meze, small dishes of vegetables, meat, and dips like tzatziki or hummus, a main course of souvlaki, grilled meat and salad wrapped in freshly made pita bread, and dessert, loukoumades, sweet doughnuts in a syrupy sauce. There are bakeries selling fresh bread and greengrocers selling a variety of fruits and vegetables. Supermarkets which sell imported goods and are arguably more convenient, however, the best places to shop for food are local farmers' markets. Guaranteed to be cheaper, fresher and more exciting with stalls of colourful fruits and vegetables, with smells compelling you to stop to take a closer look. Why not buy a cookbook and take advantage of your private kitchen to create your own version of some local dishes; that's the beauty of a holiday apartment in Cyprus. Of the popular destinations in Cyprus, Pissouri is worth a visit for its laid-back vibe. Relaxing sandy beaches and restaurants serving local and international fare make for a welcome change from the hustle and bustle of other resorts. Another welcome change is Polis, a small town in the north-west of the island. It may be small, but it's big on natural beauty and history. It's near Akamas nature reserve for spotting birds and wildlife or take a walk to the Baths of Aphrodite. Wine lovers should seek out Vouni, especially during a wine festival where tastings are the order of the day. In the heartland of Cyprus, Vouni also has museums and churches to explore for an idyllic day away from your holiday home in Cyprus. From the U.K. the easiest, quickest and cheapest way is to fly, and the trip takes about five hours. It's also possible to combine the journey by train and plane. Another alternative is to drive through Europe to Turkey and then catch the ferry to Kyrenia before making your way to your holiday apartment in Cyprus. When driving, there may be fewer petrol stations and credit card facilities, so it's a good idea to prepare for this. Cyprus has two international airports near Larnaca and Paphos and both have taxis and buses available for onward travel. Cyprus enjoys year-round sun, so it's possible to go at any time. Spring begins around February and holidaymakers can enjoy blue skies and warm temperatures suitable for hiking, biking and dips in the pool without the incessant heat from the sun. Throughout summer, there are no shortage of flights and all the attractions, restaurants and bars will be open, but this is the most expensive time to visit. In the autumn, it starts to cool down with pleasant temperatures suitable for visiting historical sites and spending pleasant evenings on the terrace of your holiday home in Cyprus. From November, the winter brings warm days and cooler evenings, so it's advisable to bring a jacket. At this time of year, visitors can go skiing in the Troodos Mountains. The currency of Cyprus is the euro. Visitors of EU countries do not require a visa and can stay for up to 90 days, however, non-EU citizens require a visa to enter Cyprus. No vaccinations are needed, however it's recommended to make sure routine vaccinations are up to date. If travelling with pets, animals require a passport or animal health certificate, microchip (EU) and rabies vaccination certificate.